Cupcakes 'n Daisies: Leap Year . . . 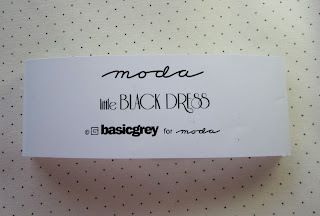 I've decided to use Little Black Dress by basicgrey for Moda for my project. And that pretty tiny dot fabric for my sashing. The pattern has a couple of block options and block size options. I'm going with the larger (7 1/2") sixteen patch version. I like all my blocks but want to make my Leap Year bigger. Unfortunately I'm out of medium and dark toned charm squares. I don't think I can get any more charm packs until August. I'm sure I'll think of something, stay tuned! I'll take guesses on my summer yo-yo production giveaway (yesterday's post) through the weekend, then I'll close the blog to comments so I can provide weekly updates. The last time I checked Nancy was the low with 103 and Shelley was the high with 1,832. Your confidence in my ability, time and commitment are inspiring, I'll give it my best shot! 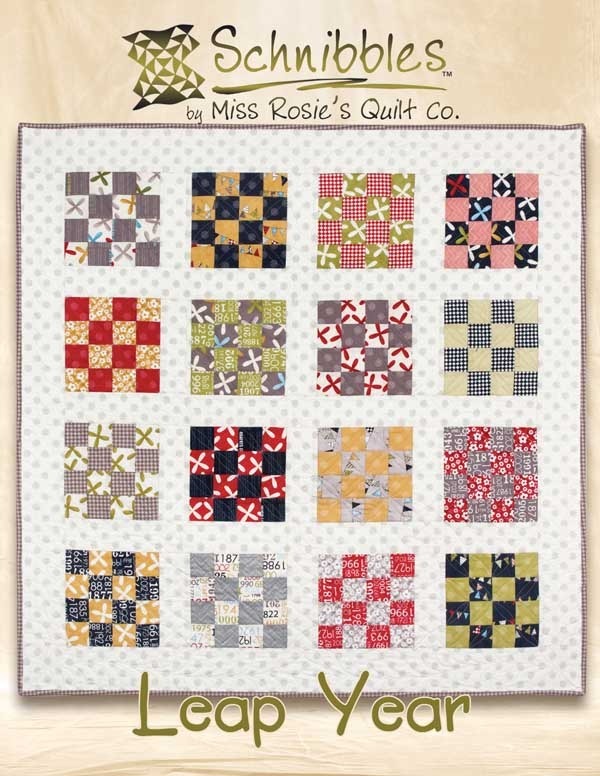 Beth, that adorable sewing machine cover pattern is in the August 2012 issue of American Patchwork and Quilting. I get my issues in the mail, I wonder if it just hasn't made it to your store yet. The Fat Quarter Shop is selling the magazine, take a look so you'll recognize the cover when it does show up in your neck of the woods. I love this quilt by Miss Rosie! I am going to have to get that and whip up this quilt too! You could always add a couple of borders to make it bigger. Great choice of fabrics on your Leap Year. Now that mine is done I can think of all kinds of colour choces I could have gone with...no atter I am happy with mine. I want to throw my guess in the YoYo pot. How about 555? Have fun with them. Love your choice of fabric for "Leap Year"! There are some Little Black Dress charm packs on Etsy. 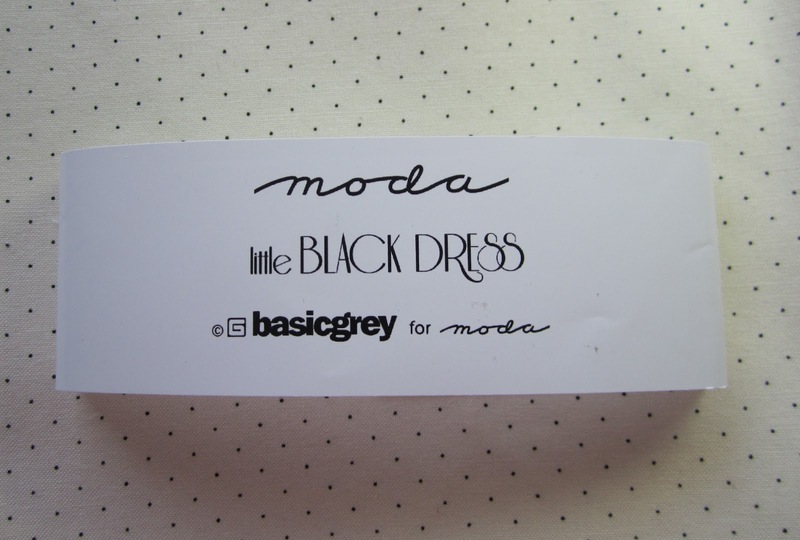 Select "all items" then search for "little black dress basic grey." The seller is Bake Shop Desserts. Just love your black and white leap year quilt ! That is a terrific choice of fabric for your schnibbles. That collection has some really cool designs! You have to go see my "schnibbles building" that I found. (on my bloc today) LOL! It was just pure chance. LOVE your Little Black Dress squares - it's adorable! Looking gorgeous. 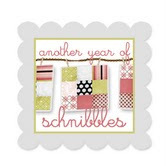 What about a border around each block and then sashing? Not sure how much bigger you want it. My Schnibbles is finshed and may get given away tomorrow. Or put your blocks on point. WOW! Thank you so much for your message in your post. I know it's hard to respond when I am anonymous but I have never been able to figure out how to leave a comment because I don't have a blog. I hardly ever comment after a very bad experience one time so I mostly just enjoy reading blogs and keeping my thoughts to myself but I really would like to make the machine cover. Thank you so much for your thoughtfulness, I will keep watch for the August issue. I was thinking today how productive you are, you don't seem to jump around during projects, I try to do the same thing but you accomplish much more thsn I do. I really enjoy seeing your quilts and I look forward to your "summer of fun!" 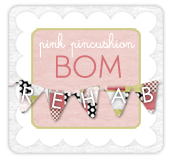 Gosh, I can't say enough about how I love the way you put colors together!